APC Technology has completed the contract to provide tactical displays to Surveillance Australia as part of its contract, to provide national Civil Aerial Maritime Surveillance services. 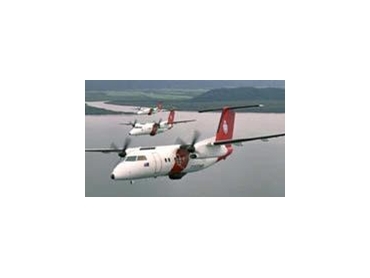 To fulfill this new all electronic surveillance Coastwatch requirement from January 2008, National Air Support have commenced upgrade of its five existing Dash 8s and added five more, for a total fleet of six Dash 8-200 series and four larger and longer range Dash 8-300 series. This system combines new-generation surveillance sensors and advanced satellite communications systems with highly reliable long range aircraft. With each aircraft acting as a live link in a national data communications chain, Coastwatch will receive an unprecedented stream of timely, high quality surveillance information and will be able to make informed border security decisions in real time. SA based APC Technology was selected to provide 10” and 24” displays, Embedded Computer solutions, MIL-STD compliant power supplies, keyboards and trackballs. By utilising in house design skills APC Technology were able to offer a solution fully customised to the exact console requirement. The products were designed to withstand full military environments whilst using the new COTS equipment. The units were selected as their light weight design is perfectly suited for aircraft applications, and has features such as advanced circuitry, making it suitable for radar and slow update images and video reproduction. This project will provide the Australian customs service with national Civil Aerial Maritime Surveillance to the year 2020.